Very easy. You may mix in some mobility/ROM exercises to break it up. Z2 Run. Mix in some run/walk intervals if needed to keep intensity low. Coaching Philosophy: We are focused on your long-term development as a triathlete, and we aim to coach you in a way that balances your triathlon goals with your familial and career commitments. 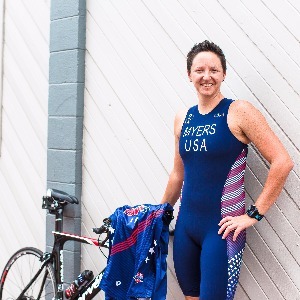 Coach Jen Myers has honed a strong foundation in sports performance through educational and professional endeavors that allows her to apply the knowledge from many prominent sports performance organizations, like USAT, and apply them to your triathlon training.